It’s official folks. 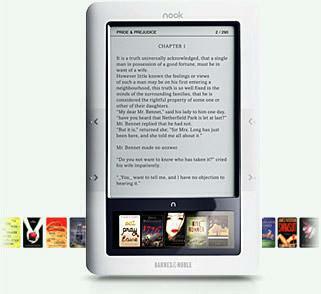 For anyone waiting with bated breathe to know, I am indeed in love with my Nook. It’s not easy to admit this. I am a confirmed bookophile. 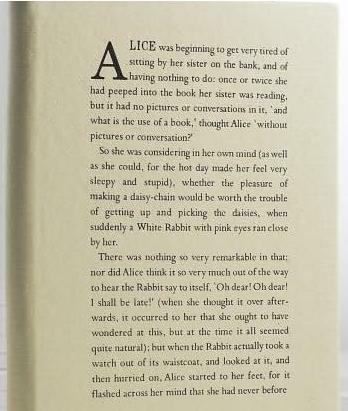 I adore the printed word. I believe there are few things we get to experience in this world as magical as a good book. And having worked in the print publishing industry for so many years the idea of an e-reader seemed a tad bit blasphemous. But there it is. As scandalous as it is I have to admit I love the Nook. Don’t get me wrong. My love of printed books has not changed one whit. I still adore them. There is nothing that can compete with a printed tome. But being a voracious reader who will plow my way through a paperback or two a week I find myself with boxes and bags of unwanted…needing to be re-homed…books. These are not the keeper-type books….the ones that will find a home on my already overflowing book shelves. This are the fluffy, heck of a lot of fun, but soon forgotten kind. My Nook allows me to keep up my fluffy-reading habits without being stuck with the unwanted pulp fiction junking up the corners of my tiny little house. And should I happen to read something on my Nook worth keeping I can then purchase a lovely printed hardback…perhaps some special edition…to add to my library. Since unpacking my Nook a week and two days ago I have read 4 and 1/2 books (one of which I may be looking for a hardback version of) and I see no end in sight. I am hooked. The e-ink display on this puppy is no joke either. It’s not something the marketers dreamed up to sell more Nooks. It is really easy on the eyes. Nothing at all like a regular computer screen. I am amazed by how close to the printed page experience it is. Oh and my “Alice” cover (over to the right there) is the bomb. The one thing that I would change if I could is that I CAN connect the Nook with my home Wifi, but then I am unable to access the network from the Nook. So if I have books, PDF’s etc on my PC I’d like to access and read from Nook…say when I am downstairs on the sofa…I can’t. Even if it was just a Nook dedicated folder on my network that I was allowed access to, this would be a great feature. And it seems pretty shortsighted to me to not have it since I do have the ability to connect to my my Wifi. But still not a big enough complaint to not still be totally in love with my Nook. Next Post I want you to get mad!….